Mély megrendüléssel tudatjuk, hogy 2015. szeptember 30-án, életének 79. évében elhunyt Zoltan Roman, a Kanadában élő zenetudós, kedves barátunk, a Mahler és Magyarország című, 2010-ben magyarul is megjelent könyv szerzője, a nemzetközi Mahler-kutatás kiváló és fáradhatatlan tagja. 2010-2011 anniversary years were prominently important for us, therefore, we managed to worthily commemorate and remember both the composer and the music director. Please visit our website regularly to be informed in time about our programs, or you can contact us personally. We warmly welcome everyone who wishes to join us. You can apply by the e-mail address or phone number above. We started to plan in 2008 how to celebrate in style the double anniversary in 2010 and 2011 of his birth and passing, so that our Society could commemorate worthily. We received encouragement from our international partners, the Dutch and Czech Mahler Societies. Gustav Mahler spent some years in Hungary as the director of the Hungarian Opera House and we realized that there are a number of statues there but none of Mahler, so we decided to put one among the others. We looked at the sculpture in the Vienna Opera House and questioned the daughter of the composer, Anna Mahler who is a sculptor and created the statue of her father about the possibility to obtain a copy of it, unfortunately we realized that we can’t come up with the price she asked for. We decided to conduct a competition which was won by Janos Krasznai’s submission. We asked our members for donation but due to the harsh economic conditions we came up short. We received assistance from the Hungarian State Opera, the Society of the Budapest Friends of Opera, The KLASSZ Music Office and the Austrian Cultural Forum of Budapest. Eventually our efforts paid off and we ended up on September 5, 2010 to dedicate the statue at the deserving place, the Opera House of Budapest. 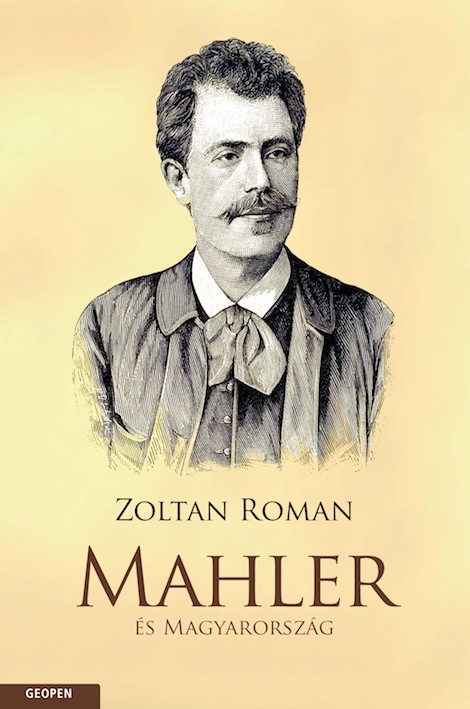 The Mahler portrait is placed in the Bertalan Székely Hall among many others. The Society is proud that we succeeded to raise the statue at the Opera House where Mahler performed creative years between 1888 and 1891.